The Mammut Smart belay device is great not only for its low weight and price but also because of its auto-locking. The Smart locks at en extremely low force, so you can catch your friend's massive whippers with ease. 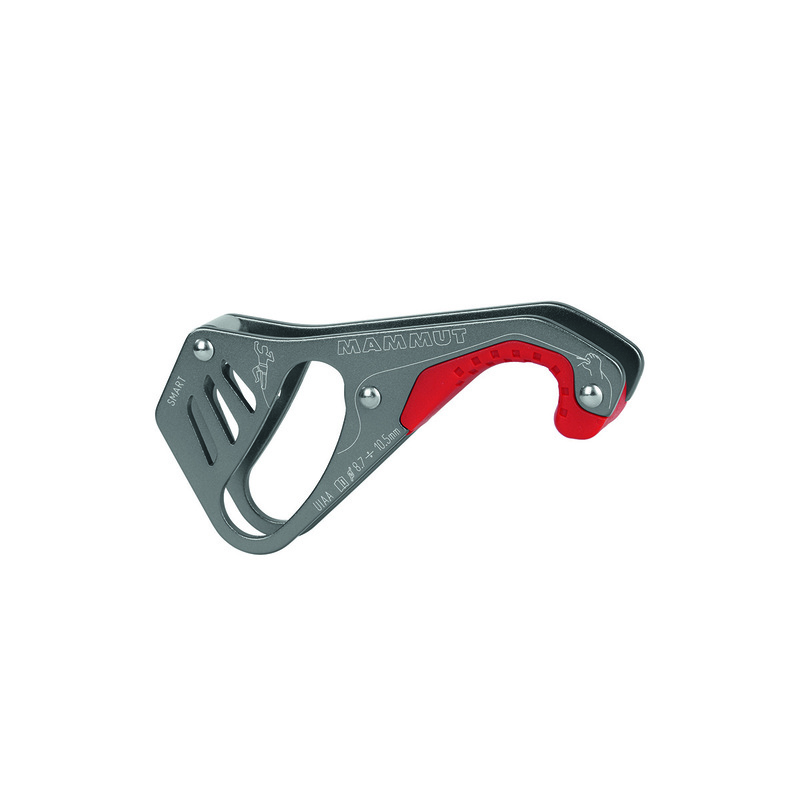 Suitable for all current HMS carabiners and single 8.7mm to 10.5mm ropes. The rope leading to the climber passes up and out of the curved opening of the Smart. In sudden shock situations the function corresponds to the reflex movements of the human body. Its Great and simple product! If you dont want to spend the money on a GriGri this is absolutely the best best option no doubt.